At Hyatt Hotel Canberra, we savour each slice of a knife and each drop of wine to perfect the art of food, providing a menu and experience you deserve. 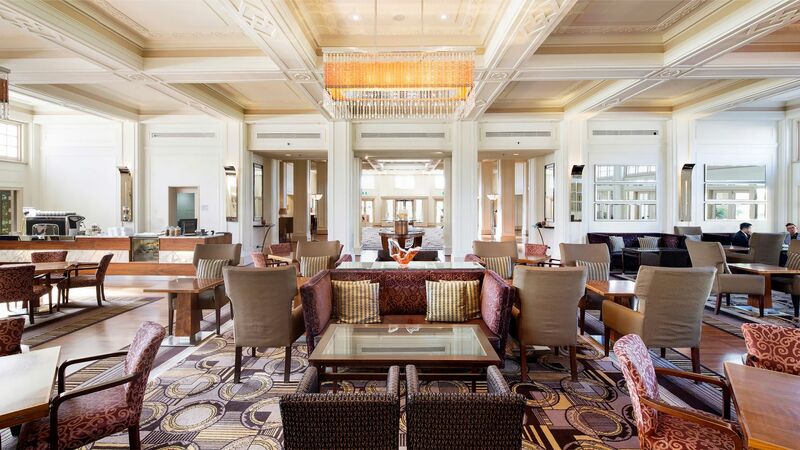 Enjoy superb dining in a casual and relaxed environment at The Promenade Café, or escape to a bygone era of charm and tranquillity in The Tea Lounge. 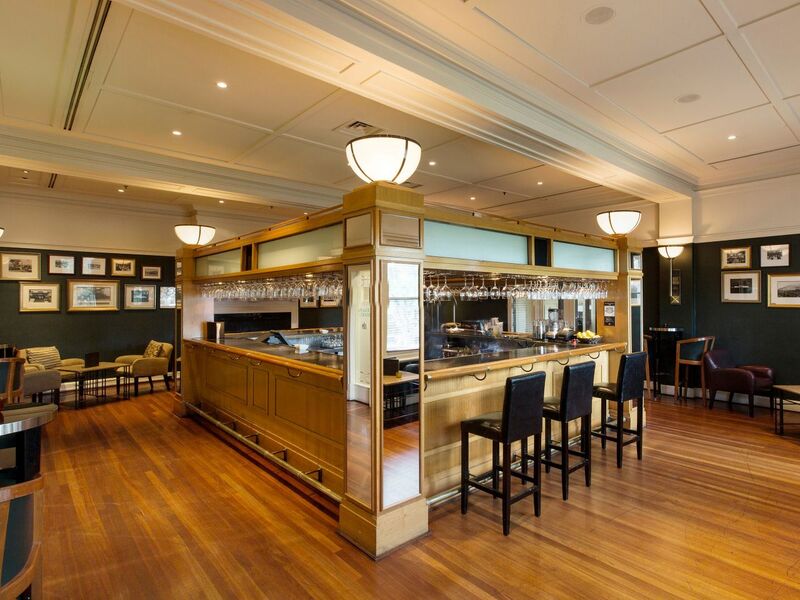 Speaker’s Corner Bar features an open fire in winter and cooling verandas in summer. Whilst Griffins is a cosy retreat, luxurious in design combined with classic furnishings. For the ultimate convenience, 24-hour Room Service is available should you wish to dine in the comfort of your guest room. Variety and flavour is what The Promenade Café is all about; with the freshest produce transformed into a range of gourmet delights. An extensive buffet featuring the freshest seafood is offered for dinner on Friday and Saturday along with a seasonal a la carte menu. 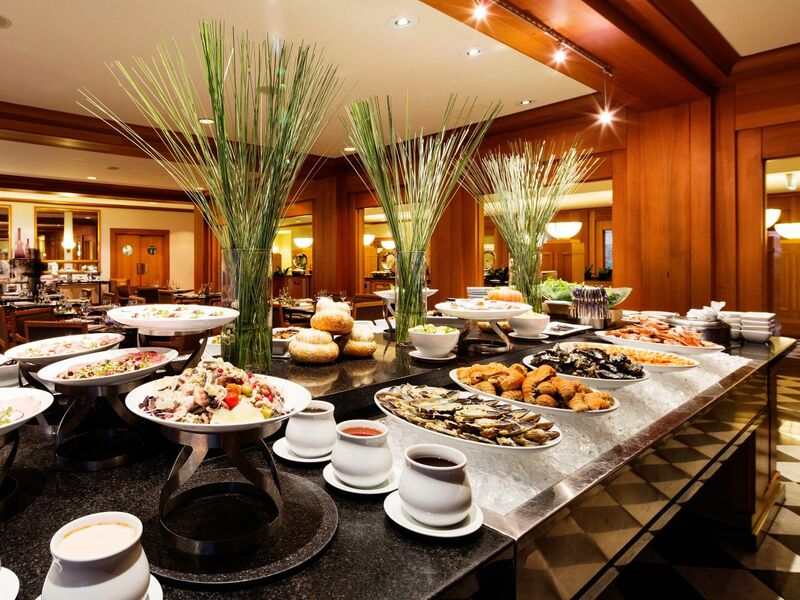 Our executive chef has created a menu suitable for a casual dinner for two or a gathering of business associates. Indulge in the famous afternoon tea buffet Saturday and Sunday with an array of savouries, finger sandwiches, freshly baked scones, jam and cream, and a selection of tempting cakes and slices. 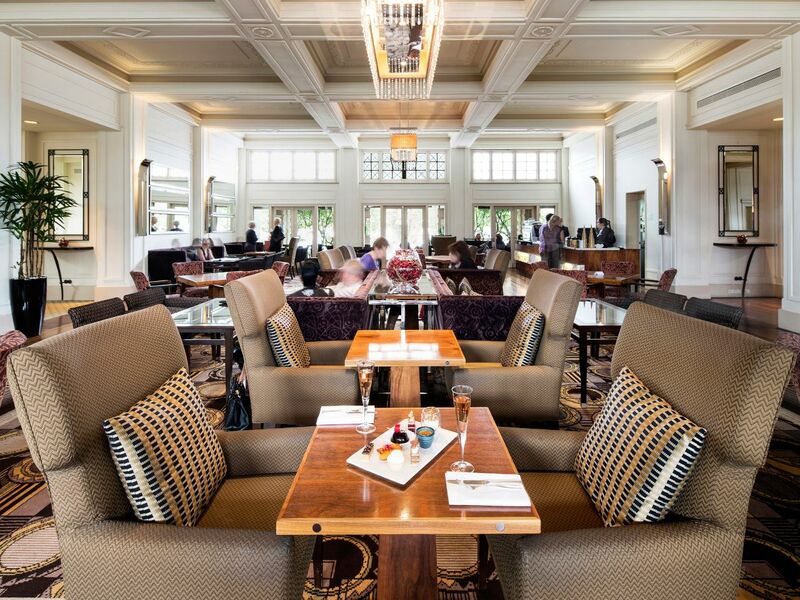 The afternoon tea buffet in the heritage listed Tea Lounge as an established tradition at Hyatt Hotel Canberra – A Park Hyatt Hotel. Monday to Friday: High Tea Stands available (20 mins preparation) or select from the cake cabinet. With cosy corners and an open fire in winter, or sun-filled veranda’s and open courtyards in summer, this bar is perfect for a catch-up or quiet get-together with friends. Choose from a large selection of ales, wines, spirits or your favourite cocktail. Friday to Saturday: 3:00 p.m. to 1:00 a.m.
Luxurious in design with classic furnishings, Griffin's is a cosy retreat beside Speaker's Bar for drinks with friends or a quiet place for an informal meeting. 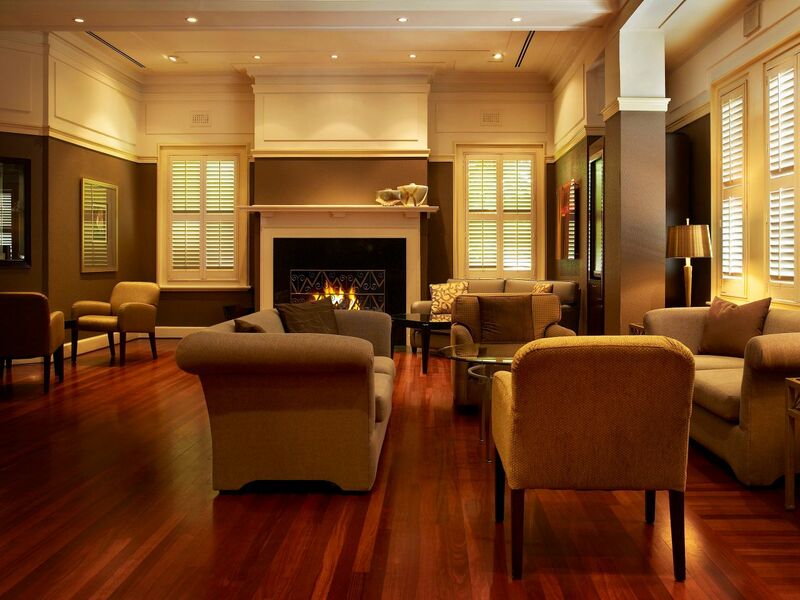 With an open fire in winter or cooling timber shutters to shut out the summer heat, Griffin's located off the hotel lobby makes the perfect intimate venue. Sunday: 5:00 p.m. to 10:00 p.m. The ultimate convenience, 24-hour Room Service is available for guests wishing to dine in the privacy of their rooms. A seasonal menu is in the hotel compendium located in the desk drawer. The menu is accompanied with an extensive wine menu.